Benjamins are pleased to bring to the market this Three Bedroom Semi Detached house in the sought after South Nottingham village of Keyworth on Fairway. The property benefits from having no upward chain. Viewing is recommended to appreciate the space and potential on offer. It briefly comprises; Entrance hallway, Large Living Room & Dining Area, Kitchen, Family Shower Room, Gardens to front & rear, Garage & Off Road Parking. Front door into hallway, radiator, door into living room and door into the kitchen, stairs up to first floor landing. UPVC double glazed window to the front elevation, radiator, ceiling light fittings, coal roomheater fireplace. 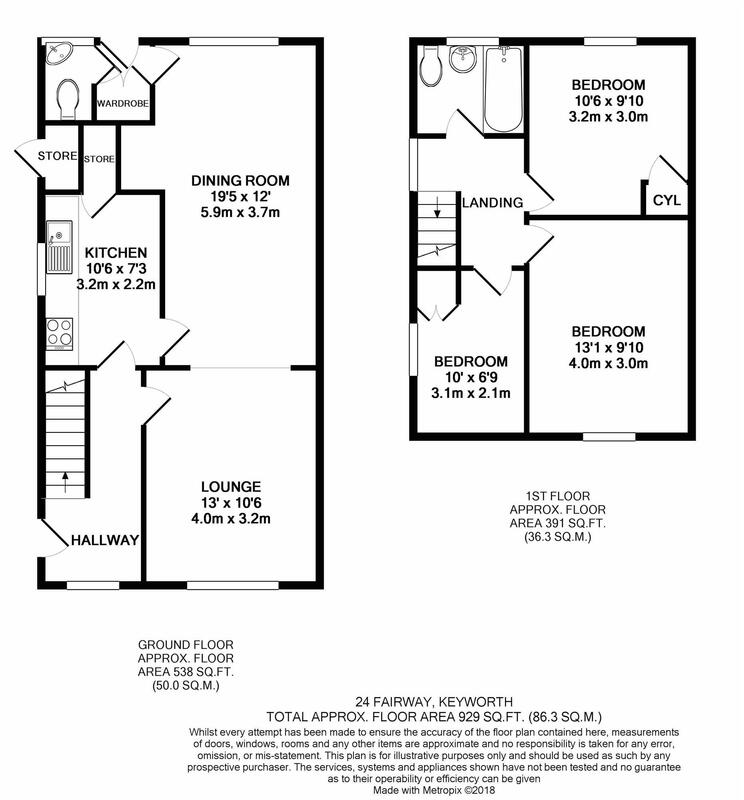 Large open plan dining area, UPVC window to the rear elevation, radiator, wall shelving units, door leading to kitchen, door leading to downstairs W/C and rear garden. Base and wall units with worktops over, stainless steel sink with drainer and mixer tap over, space for fridge/freezer, plumbing for washing machine and dishwasher, pantry cupboard, UPVC double glazed window to the side aspect, door into entrance hallway and door leading into dining area. UPVC double glazed window to side aspect, access to loft via hatch, doors to bathroom & three bedrooms. UPVC double glazed window to the front elevation, radiator, hardwood floor. UPVC double glazed window to the rear elevation, radiator, hardwood floor. UPVC double glazed window to the side elevation, storage cupboard, radiator, carpet. Partly tiled bathroom with three piece suite including electric shower, low level W/C, pedestal hand wash basin with hot and cold taps, radiator & UPVC window to rear aspect. The property occupies a large plot with gardens to front side and rear with lawn, mature trees, shrubs and borders. 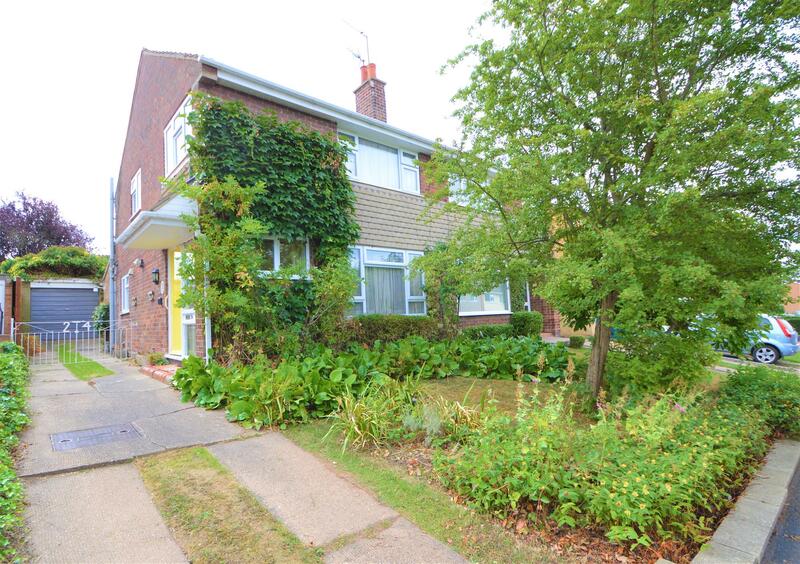 The property boasts substantial off road parking with a driveway leading to a detached garage. The rear garden has a paved patio area with a path leading to the garage door at half way up the garden. There is also gated access to the front of the property.